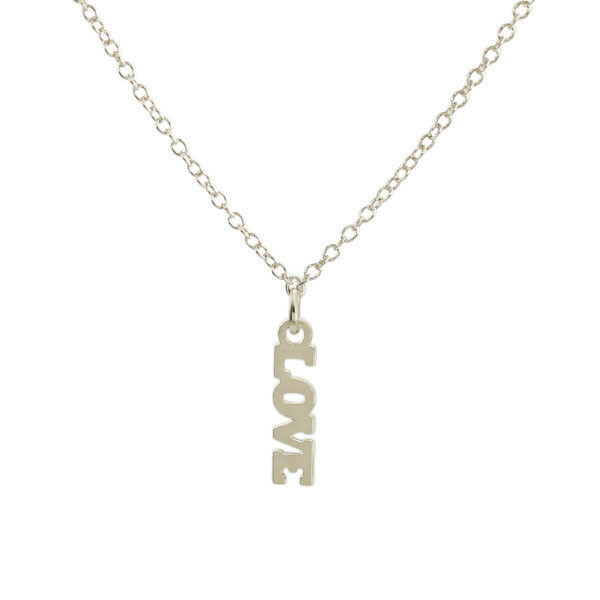 The side -lying LOVE necklace is the perfect gift for your Love. Lightweight and delicate, perfect for layering. Measures 18 inches. 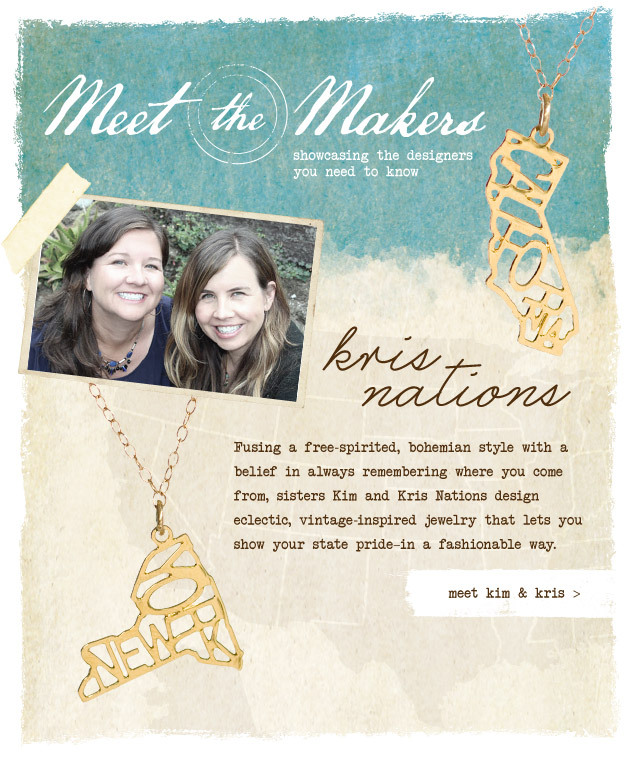 Cut from recycled brass and plated in sterling silver or 14k gold. 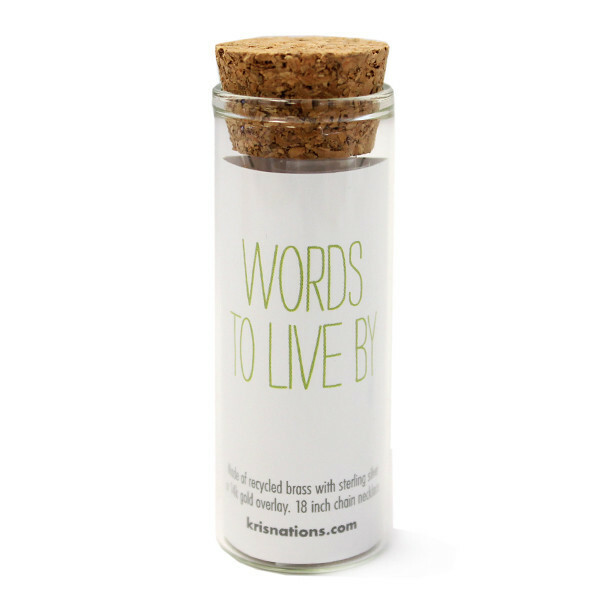 Comes packaged in glass vial.